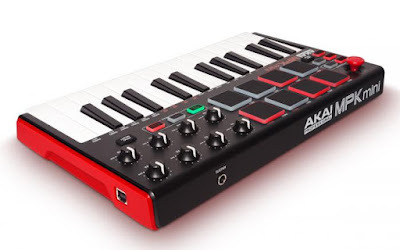 If you enjoy creating music in Ableton Live, the APC Key 25 from Akai is the portable keyboard for you. 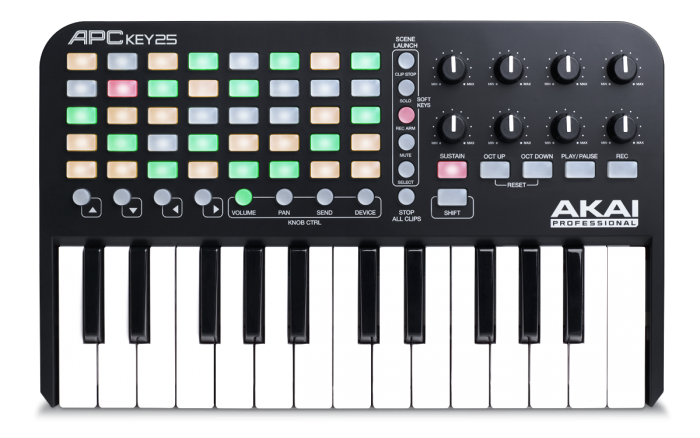 This 25-key controller keyboard combines 25 great-feeling synth-action keys with the same powerful 5 x 8 clip-launch matrix found on the APC40 MKII. 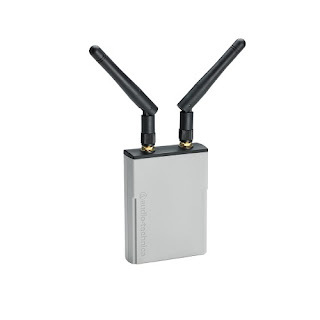 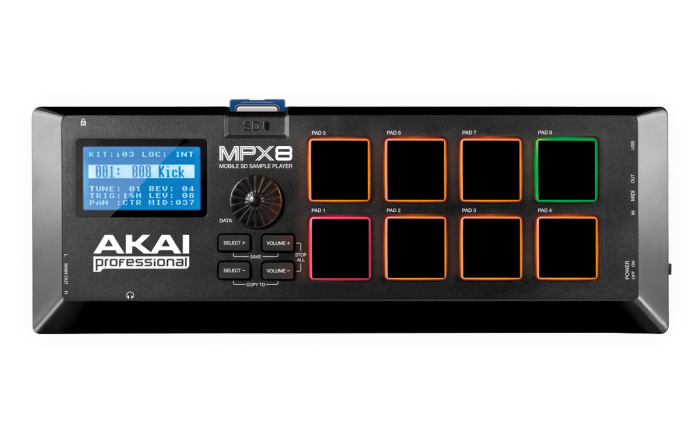 Eight multifunction knobs and a streamlined set of function buttons provide all the additional control you need without wasting a millimeter of space. 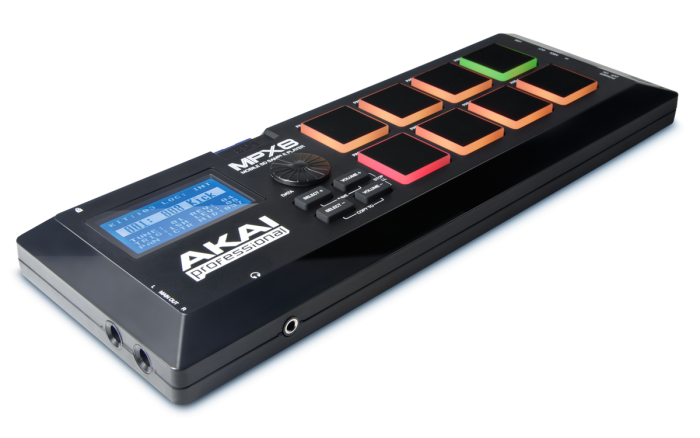 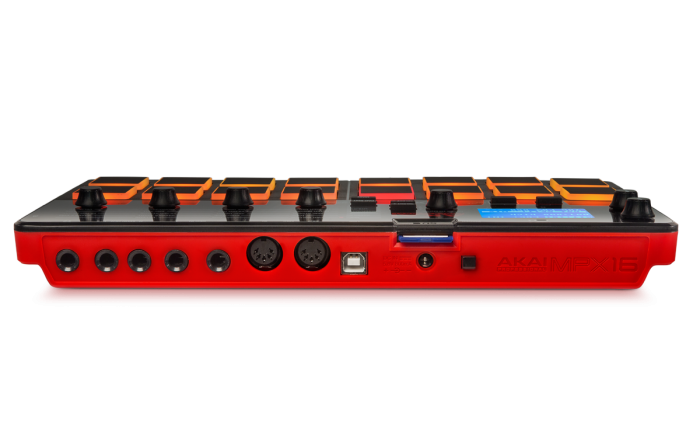 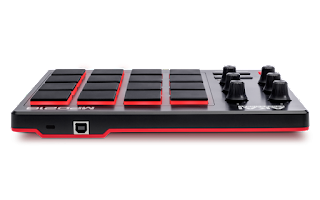 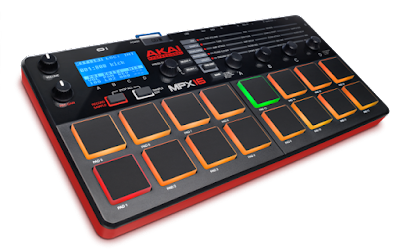 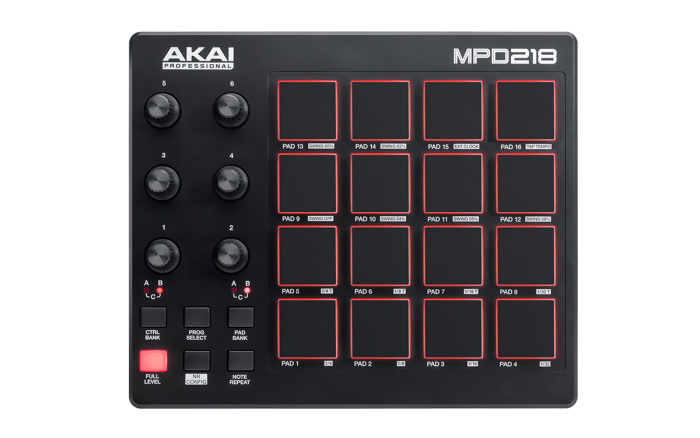 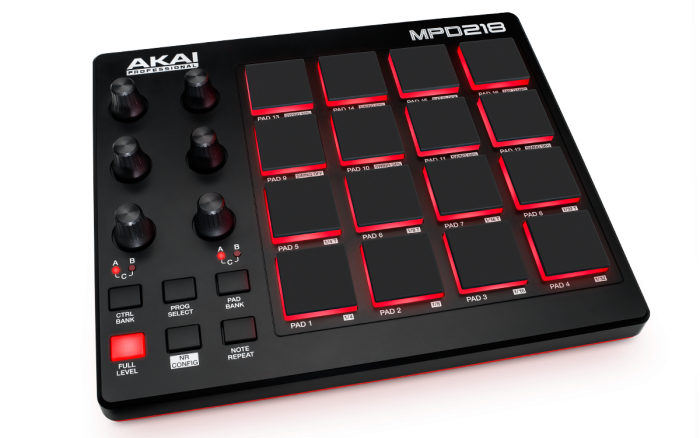 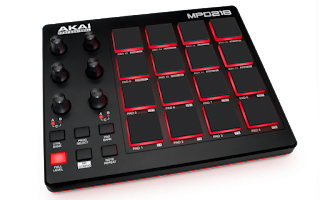 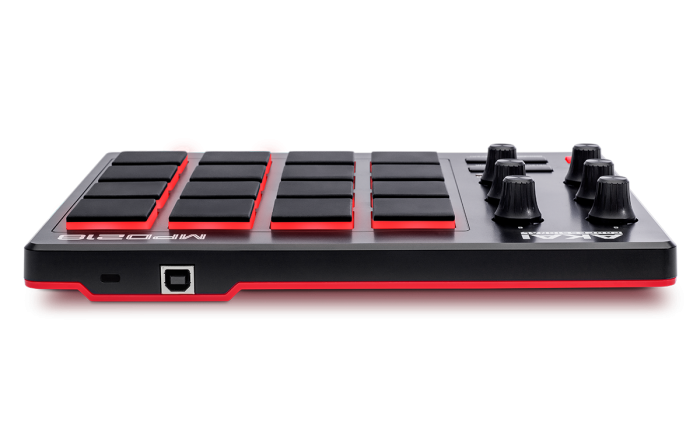 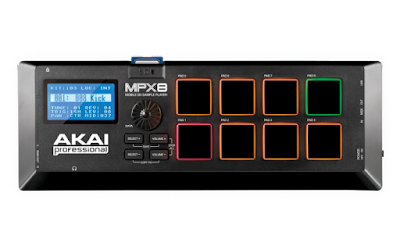 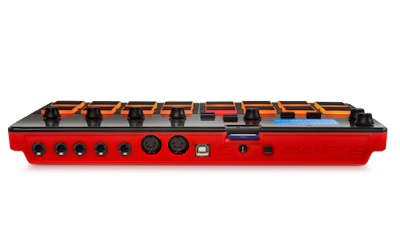 With USB power and plug-and-play setup, the Akai Professional APC Key 25 controller is the best thing going! Control with the ease you needPerformers and producers of every niche here at Sweetwater find the APC Key 25 to be the all-in-one answer for an ultra-portable Ableton Live controller. 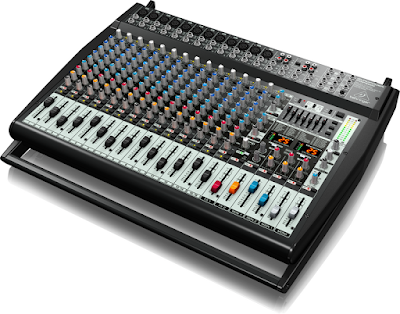 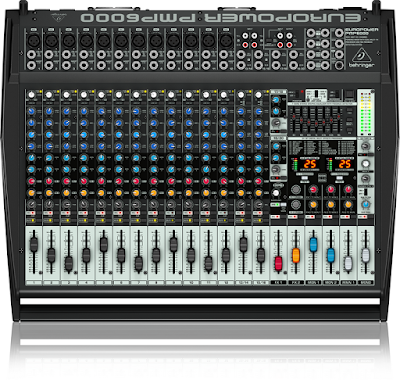 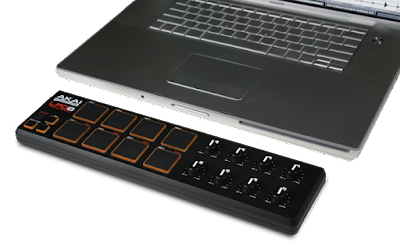 Designed specifically to work with Ableton Live, you will enjoy plug-and-play setup for creation, recording, and shows. 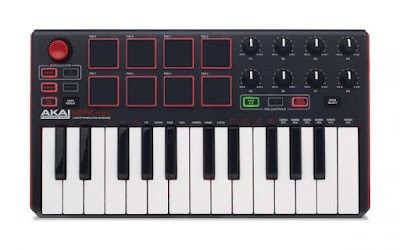 Simply plug it into your computer and launch Ableton - whether you're an experienced electronic musician or a novice to the concept, the compact design, natural workflow, and seamless 1-to-1 integration mean you'll be making music with Ableton and the APC Key 25 controller in no time. 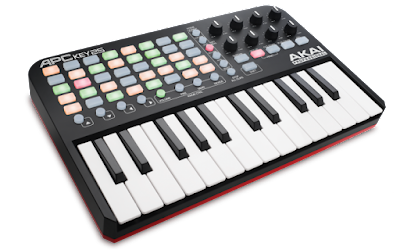 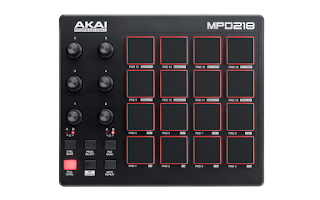 Playability and inspiration from a controller Akai designed the APC with 25 synth-action mini keys to open up your creative possibilites within Ableton. 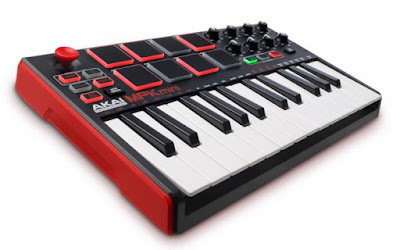 The traditional piano-like interface makes using virtual instruments simple - you'll have a whole new world of sounds and inspiration for your music. 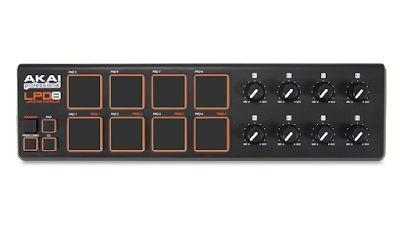 Use the 5 x 8 matrix to launch your drum loops, add an effect on-the-fly, or whatever else your heart desires. The tri-color LED backlit buttons keep you organized by communicating everything from an active clip to what scene you're in. And although tthe 8 knobs auto-map to Ableton to control things such as volume and sends, they are assignable to give you total creative flexibilty. Perfect portability for producers and performersThe APC Key 25's compact design makes it perfect for mobile performers and studio producers alike. 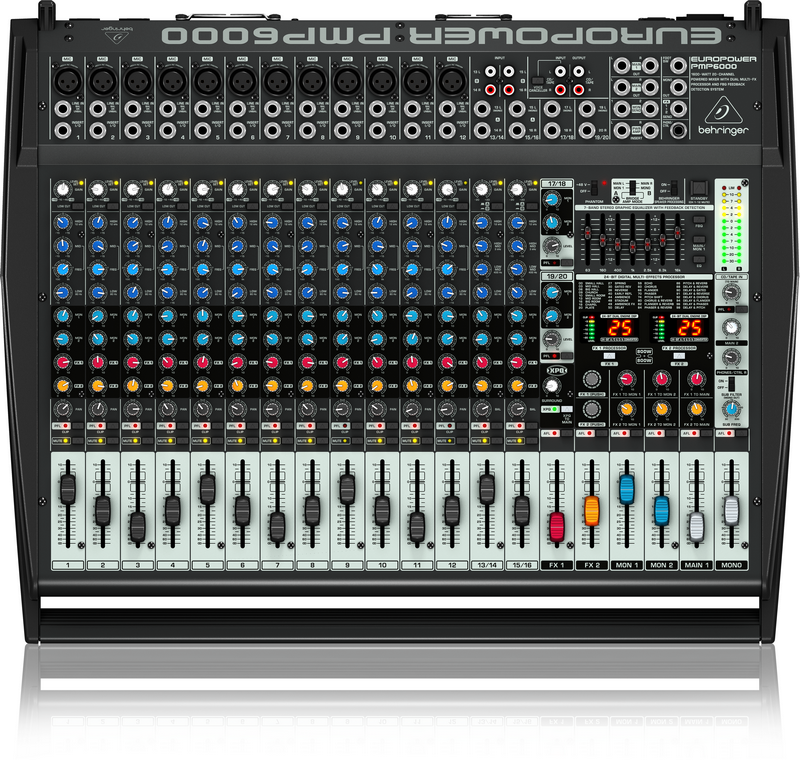 Set up your scenes and set list at home, throw it in your backpack along with your laptop and you're ready for the gig. 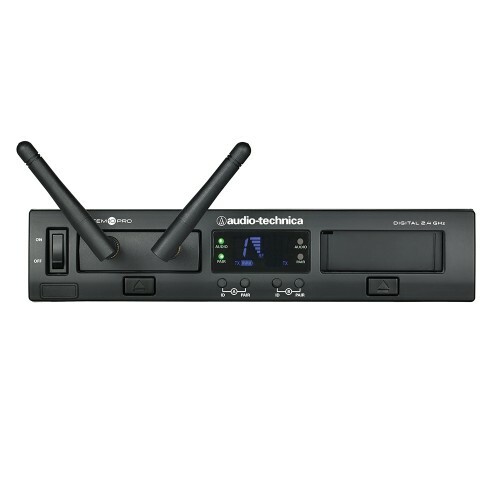 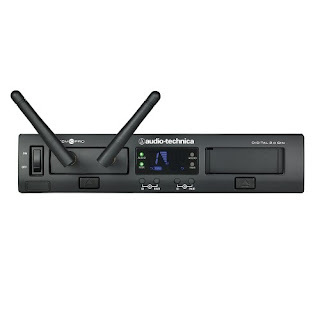 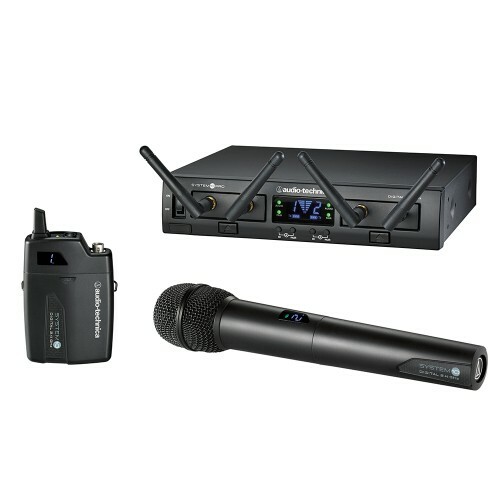 USB power means you'll never forget a power supply and with the plug-and-play integration you'll be set up and ready to perform in seconds. 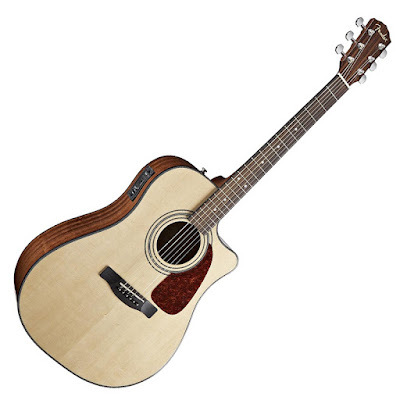 The solid spruce top on the Fender CD140SCE Acoustic Electric Guitar produces a lot of crisp tone and volume that the Fender/Fishman Aero electronics accurately capture. 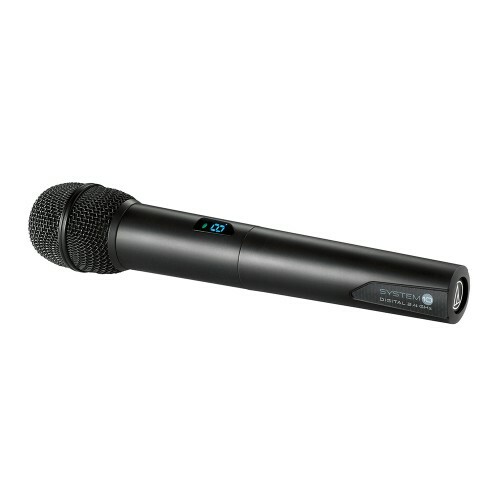 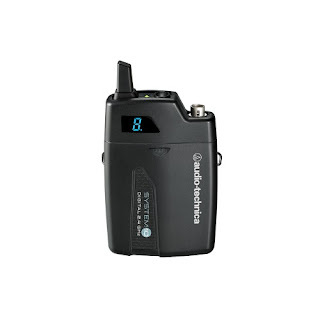 Equipped with a built-in tuner and a 3-band EQ with sweepable midrange, the Aero system is easy to use onstage to get a great amplified sound. The all-mahogany body adds warmth and roundness to the tone. 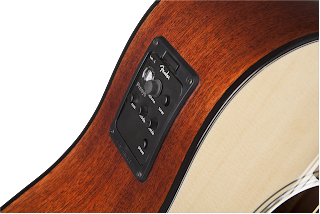 A rosewood fingerboard tops the comfortable and fast nato neck. Black binding on the body and a uniquely shaped bridge gives the CD140SCE acoustic-electric a decidedly modern look. 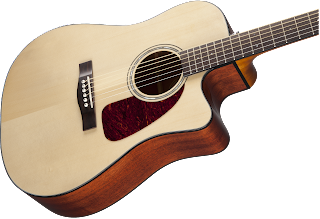 The CN-240 SCE is an interesting instrument - a hybrid nylon-string that actually isn’t a classical guitar, strictly speaking, because it has a soft cutaway and a slightly thinner neck profile that’s easier on the fretting hand. Other features include a solid cedar top, rosewood back and sides and built-in electronics.